David Nobay’s 30 year career in advertising has put him in the Creative Director’s hotseat in Hong Kong, London, New York, San Francisco, Melbourne and, for over a decade, Sydney. In 2001, Archive Magazine ranked him amongst their top ten copywriters of the last millennium. 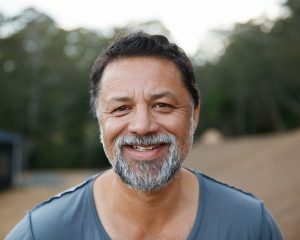 Under his creative watch, Saatchi & Saatchi Sydney was crowned “The Australian Agency of the Decade”. In 2005, Campaign Brief magazine ranked him the “No.1 most awarded Executive Creative Director in Australasia”. In 2008, he was asked by David Droga to launch his first office outside New York. Droga5 Sydney was named “Agency of the Year” by B&T Magazine in 2009. In 2010, AdAge recognised him as the only Australian-based inclusion in their “Global Top 50 Creative Thinkers”. In 2016, he launched Marcel Sydney and joined the Publicis Global Creative Board. His distractions outside advertising include writing his first stage play, “Moving Parts” which was staged at Sydney’s prestigious NIDA Theatre and directed by Steve Rogers. His first expressionist painting show “Soft Cages” was hosted at Sydney’s Maunsell Wickes gallery in 2015 and the following year, Australia’s national broadcaster (ABC) hosted his poetry and film project “Artbreaks”; 8 original poems by Nobay, imagined by 8 of Australia’s most exciting new filmmakers (artbreaks.com.au). David Nobay is married, with three children (ranging from 4 years to 23 years!) and lives between Sydney the Southern Highlands.